I watched the TV premiere of the film Midnight's Children on BBC2 this weekend. Salman Rushdie's 1981 Booker Prize winner, which I first read as a teenager, is still one of my favourite novels. Reviewing it when it was published, the Sunday Telegraph said that "India has found its Günter Grass" and Midnight's Children does have some similarities with Grass's best known work, The Tin Drum: the "magic realism"; a country divided into three with the main character, Saleem, forced to cross and recross its new borders; taste and smell as metaphors for political history. 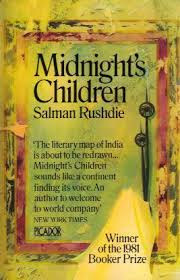 Although the film skips over some parts of the plot (communalism in Bombay, conflicts between pro-Moscow and pro-Peking Communists, Saleem's experiences as a soldier in the 1971 war in East Pakistan/Bangladesh), it's generally faithful to the novel (unlike the film version of The Tin Drum which ends halfway through the book) and benefits from Rushdie's collaboration with director Deepa Mehta and a voice-over of him reading from his novel. 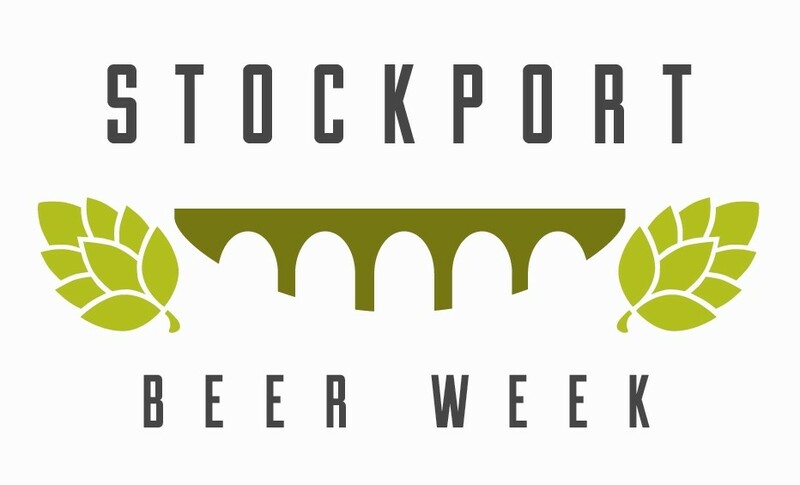 I went to Robinson's Brewery this afternoon for the press launch of Stockport Beer Week (although it actually lasts for eleven days: to misquote Steve Coogan as Tony Wilson talking about Manchester in Twenty-Four Hour Party People, "This is Stockport, we do things differently here"). I know many people aren't huge fans of Robinson's beers. 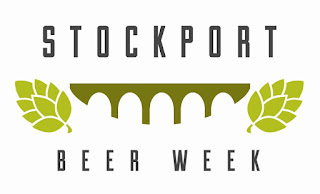 I've always enjoyed drinking their best bitter Unicorn and seasonal strong ale Old Tom, and in recent years their premium bitter Trooper and golden ale Dizzy Blonde, but for those of you who don't there's now a lot more beer choice in the town's free houses. Halfway through a semi-annual clear out, a stack of magazines has bobbed to the top of the pile whose existence I'd completely forgotten about. In what seems to be a complete set of English for All, published for German prisoners of war in England between 1946 and 1948, issue no. 30 of 17th June 1947 caught my eye with its lead article entitled "The English Pub". As L.P. Hartley famously wrote in the opening sentence of The Go-Between, "The past is a foreign country: they do things differently there." So what has, and hasn't, changed in the English pub as it was described almost eight decades ago? "Broadly speaking, there are three types of public house – the city pub, the village pub and the "local," – though the the last-named category may, in certain cases, embrace one of the other two." Still broadly true, although there are a few more categories that could be added now: family and fun pubs. pub-restaurants, estate pubs, sports pubs. "British inns differ from their continental counterparts principally in that we make no serious effort (generally no effort at all) to cater for food...our opening hours are restricted and children under 16 are not admitted at all." Although there are still some wet-led pubs which don't serve food or admit children, they're now a minority, and restricted hours have long gone. "Also our public houses invariably have two classes of bars (saloon bar and public bar), each charging different prices for the same drinks; in some parts of England (and in the whole of Scotland) public houses are closed all day on Sunday." Sadly, the majority of pubs which had a saloon and public bar (or lounge and vault as they're called in the North) and snug have long since knocked them through to create a single room; the ones that haven't – many of them listed on CAMRA's inventory of Historic Pub Interiors – should be treasured. I just about remember drinking in a pub where it a was a couple of pence a pint cheaper in the vault, as a student in the now closed Victoria in Stoke-on-Trent, and the end of "dry Sundays" in some areas (I seem to recall heavily Nonconformist parts of Wales holding out on that front well into the 1980's). "The drinks they consume could be had at any Off-Licence at prices about one-third lower"
Bottled beer is still cheaper in off-licences than pubs, although I'd have thought that most people drinking in the latter would, as now, order draught beer. Up until at least the 60's, many pubs also had a separate "outdoor"/bottle and jug for off-licence sales where I'd guess prices for bottled and draught beer were the same as in the public bar/vault. "Cases of drunkenness are to-day negligible in Britain." I reckon that was even less true then than it is now. "There is also the essentially English custom of "treating"." Although now better known as buying rounds, a sociable tradition that is thankfully still going strong. "In the public bar a dozen or so workmen are drinking beer and enjoying the sandwiches they have brought with them. Four of them are playing darts." Good luck with finding a pub with a public bar/vault where you can bring your own food and there's a dart board. "It is two o'clock and no more drink may be served...Reluctantly the glasses are drained and the last customer disappears. The pub is closed until 5.30 when the real business of the day will begin." I just about remember afternoon closing too, although I thought it started at three o'clock? "Let us hope that you, too, will one day accompany us into the saloon bar...(by then the beer may be stronger!)" Richard Boston's Beer and Skittles has a handy table giving the average original gravity of English beer in the twentieth century: in 1923, it was 1042 (much lower than it had been before World War I), in 1933, (after teetotal Chancellor Philip Snowden's 1931 Budget) 1039, in 1948, after another World War, 1032, and in 1953 1036, stopping around that mark until 1973. I don't know what it is now, but I'd guess that it's slightly higher at about 1040. It got me thinking about how you define a proper pub, something that has of course been extensively discussed over the decades, most famously by George Orwell in The Moon Under Water. But for what it's worth, here's my checklist. 1. At least one, well-kept cask beer (don't care what style or who brewed it) which you can drink several pints of over an evening without getting too drunk or applying for an overdraft. 2. You can sit anywhere you want and drink, i.e. there are no reserved tables for dining. 3. Drinking is the main activity rather than watching sport on a big screen TV, listening to live music or comedy or having a meal. 4. Food is restricted to pub snacks: pork pies, crisps, pork scratchings, nuts. 5. Even if there is a lot of passing trade, there is a core of regulars whenever you go in and who are looked after by an identifiable landlord/lady who runs the pub, rather than an ever changing roster of inexperienced staff. 6. Ideally, it is split into separate rooms with different functions: minimally, a lounge, vault and snug. There are of course lots of pubs I go in which don't meet most, or even any, of those criteria, and I realise that more modern and chain pubs are less likely to fulfill them too, but I can think of several pubs I go to regularly in Manchester and Stockport which meet them all.